Iraqi troops have captured several key Peshmerga-controlled positions near Kirkuk, one of the key cities in Iraqi Kurdistan and continue to advance, the Iraqi military has said. 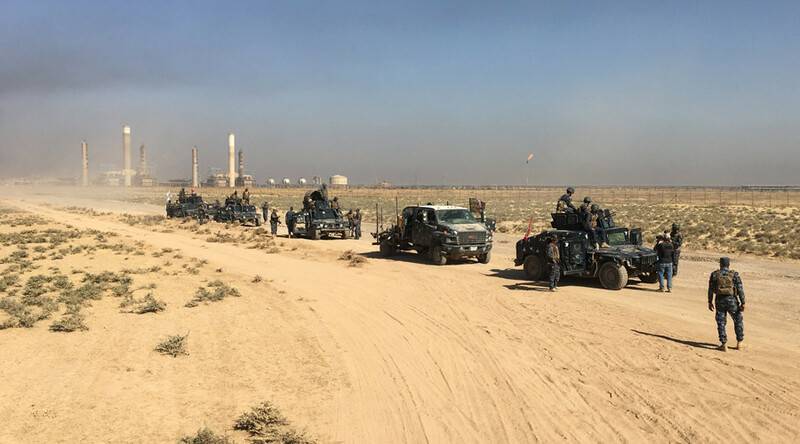 The Iraqi armed forces gained control of roads and infrastructure near Kirkuk from Kurdish fighters, including the North Gas Company station, a nearby oil processing plant, and the industrial district south of the city. The military also captured Kirkuk’s K-1 Air Base from Kurdish forces, a military statement says, according to Reuters. Following the clashes between the Kurdish Peshmerga military force and Iraqi government troops supported by pro-government militas civilians blocked roads inside Kirkuk to prevent Peshmerga military vehicles from retreating, according to Rudaw. Iraqi state TV reported that Counter-Terrorism Service, the federal government and the 9th division of the Iraqi Army, have already secured “large areas” without any resistance from the Kurdish command. Kurdish news channel, Rudaw, however, reported that clashes between Kurdish and government-led forces erupted on the Taza Khurmatu front near Kirkuk. Iraqi security sources told Reuters that gunfire was heard in Kirkuk while the Peshmerga were urging the locals to resist. Kurdish sources meanwhile told the agency that clashes took place in the industrial zone of Kirkuk, while an artillery exchange took place south of the city. Earlier Baghdad and the command of PMF issued a list of demands calling on Peshmerga forces to leave a number of positions south and west of Kirkuk so that those outposts can be transferred under the control of Baghdad. The Kurds were reportedly given a deadline of 2am to comply with the ultimatum, Rudaw News reported. The Kurdish leadership said on Saturday that they would not comply and leave all of the outposts mentioned in a list of demands, provincial Governor Najmaldin Karim told reporters. “The places that they have demanded, as mentioned in those points, have so far all been rejected,” Karim was quoted as saying by Rudaw. Tensions between Baghdad and the regional Kurdish government have been tense in the wake of Kurdistan’s independence referendum late last month where some 92.7 percent of voters chose to leave Iraq. Baghdad immediately denounced the move as “unconstitutional.” Turkey, Iran and Syria also expressed their opposition to the creation of an independent Kurdistan over concerns that it may spur separatist sentiment in their own Kurdish-populated areas. 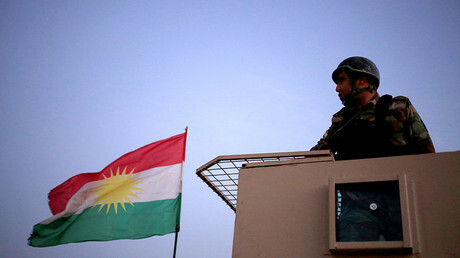 The Kurdish Peshmerga Ministry quickly dismissed the allegations. Kurdish leaders also rejected a call by Baghdad to cancel the results of the September 25 independence vote.